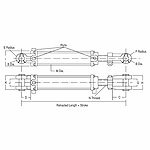 Pneumatic Cylinder – Metro Hydraulic Jack Co. 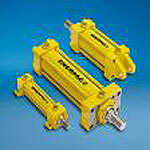 Sales of standard and custom design Hydraulic & pneumatic cylinders to meet your specifications. We are also cylinder repair & rebuilding experts. We have a large parts inventory including standard and metric chrome rod, seals, pistons & components. Our complete machine shop and welding capability enables us to do the job properly the first time. All work is done in house which means we can have you up and running quickly. 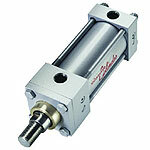 Has been building hydraulic and air cylinders for industry since 1949. 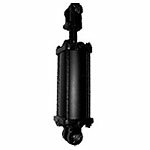 They offer a full line of NFPA and custom cylinders built to your specifications. 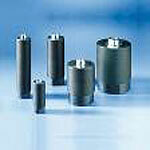 They also offer a welded design cylinder built for demanding applications. 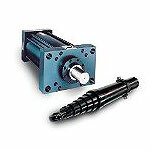 Bore sizes offered are 1 ½” to 24” bore in pneumatic and 1 ½” to 14″ bore in hydraulic. Pressures up to 5000 PSI. Milwaukee Cylinder is a long established and recognized supplier of engineered cylinder solutions and is a manufacturer of steel and aluminum NFPA tie-rod cylinders for both hydraulic and pneumatic applications. They engineer many unique “specials” for very demanding applications over a wide range of Markets and Industry Segments. Complete line of standard and heavy duty cylinders & components consisting of tie-rod cylinders, welded construction cylinders, clevis cylinders, snow plow cylinders, single & double acting telescopic cylinders.